B&H Photo Video is excited to share with the professional photography community that the new 5D Mark III DSLR camera kit is currently in stock and ready to ship. B&H Photo is excited to share with the professional photography community that the new 5D Mark III DSLR camera kit is currently in stock and ready to ship. 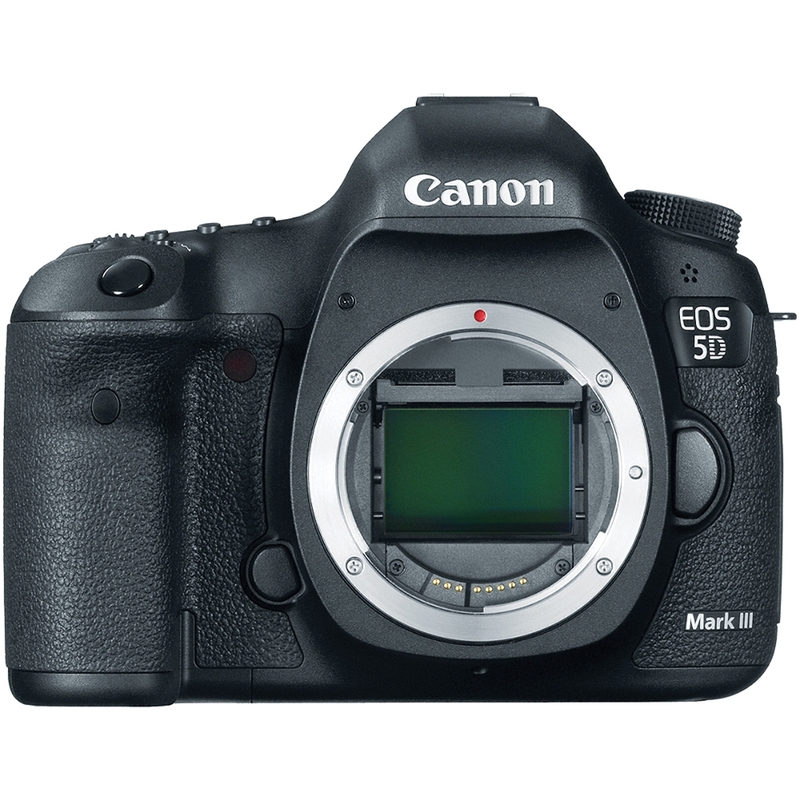 The long-awaited Canon EOS 5D Mark III kit has finally arrived. Offering refinement and improvement over its predecessor, the camera maintains its position as a very capable DSLR that’s ideal for high-quality image capture and HD video recording. 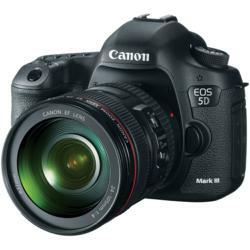 The Canon 5D Mark III camera kit can be ordered at B&H Photo Video web site, SuperStore or by calling 800-606-6969. The new Canon 5D Mark III DSLR camera designed to meet the needs of photographers who demand outstanding performance, reliability, and unparalleled levels of control and versatility. A highly durable magnesium-allow body surrounds the components and offers increased dust and weather resistance. 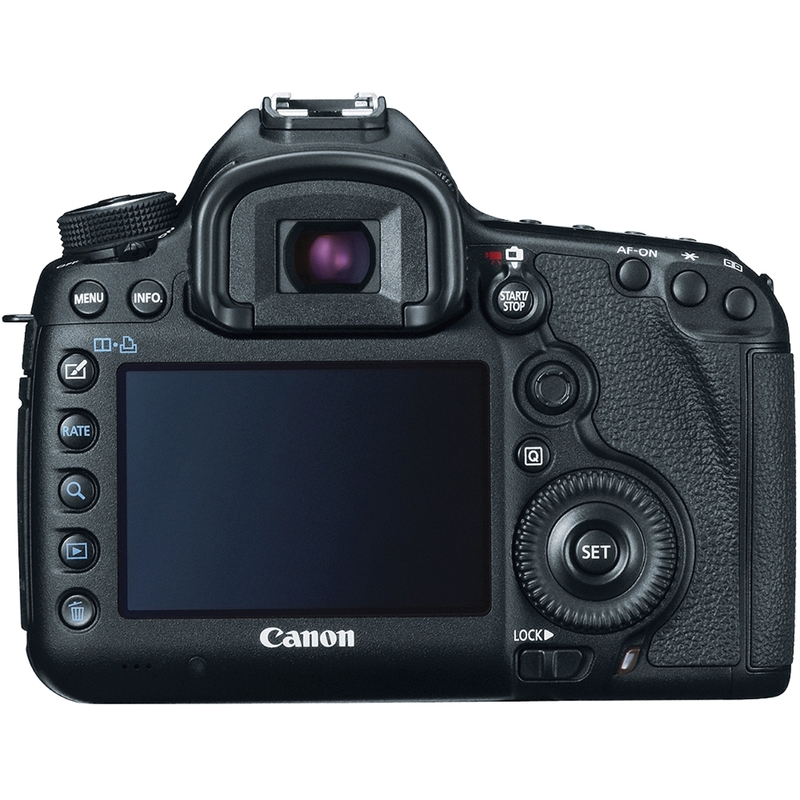 An updated EOS Integrated Cleaning system also helps to reduce and remove dust within the camera body. Several of the physical controls on the camera body are fully customizable for a more efficient workflow and more convenient handling scheme. Dual CF and SD memory card support also increases the compatibility of the camera. Support is also provided for the optional Canon Wireless File Transmitter and GPS receiver for remote logging, tracking, and sending of your imagery. Processing speed and power are increased to promote significantly greater overall performance and response from all aspects of the camera. New algorithms are incorporated in order to promote better noise reduction for higher ISOs and chromatic aberration compensation. The increase in processing speed also helps to improve the continuous shooting rate, bringing it to 6 full-resolution frames-per-second. The 14-bit signal processing helps to improve the quality and gradation of images by producing more natural, smooth-looking results. An increased ISO range is also provided, from 100 to 25600 in standard modes and 50 to 102400 in expanded modes. The ISO range can be controlled and customized depending on the user's preferences, and additionally an auto ISO mode can be employed. This extended sensitivity range helps to counter frequently changing and difficult lighting situations and significantly minimizes noise when photographing with even the top-rated sensitivity. The newly designed 61-point autofocus interface helps to ensure critical focus no matter how complex or difficult the situation is. Featuring up to 41 cross-type AF points (with f/4 lens support) and 5 dual diagonal AF points (with f/2.8 sensitivity); this AF system is highly accurate and extremely low-light sensitive. An intelligent metering system works in conjunction with the autofocus system and independently analyzes 'Focus, Color, and Luminance' within the scene for the most precise exposure settings possible. The 63 zones cover the entire image area with great detail and the dual-layer design permits a wider sensitivity to different wavelengths of light. As the world's largest source of photography, video and audio equipment, B&H Photo-Video is known worldwide for their attentive, knowledgeable sales staff, and excellent customer service, including fast and reliable shipping. Visitors to the website can access a variety of enlightening articles and educational videos. B&H has been satisfying customers worldwide for nearly to 40 years.